HTC Killed The Physical Keyboard. Smart Move. We’re less than a week away from the launch of the supposed next “iPhone killer,” the Palm Pre. 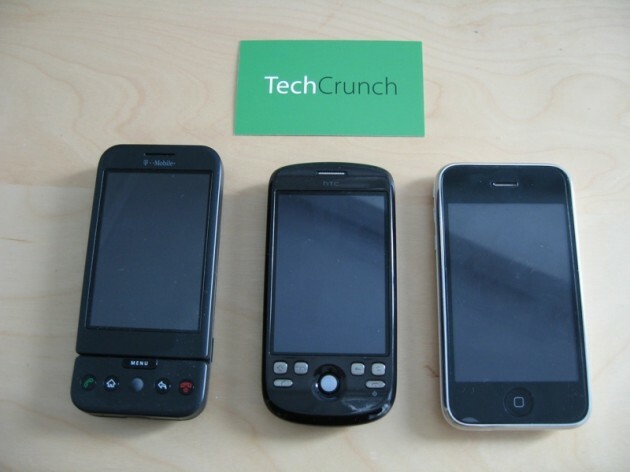 The iPhone has miraculously survived a few of these attempts on its life before — it somehow weathered the BlackBerry Storm, and before that, the G1 was going to be the device the did it in. 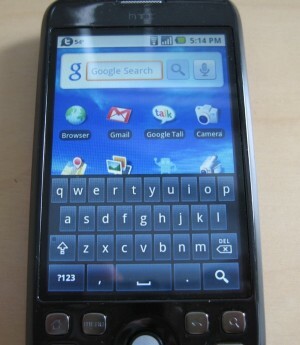 The G1 was compelling because it was the first phone to run Google’s Android operating system. But as a piece of hardware (made by HTC), it sucked. You know it, I know, even Google employees will admit it. And that’s why I was at first less than thrilled when I heard Google would be giving away Android phones to everyone at the Google I/O event a few days ago. But it turns out, they weren’t giving away G1s, but rather that device’s successor, which they call the “Google Ion,” though some know it better as the HTC Magic, or even as the “G2.” And it was a brilliant move by Google, because this device is leaps and bounds better than the G1. Mostly setting aside the software itself — the Ion runs the new “Cupcake” variety of Android, aka Android 1.5 — the hardware that HTC has built this time around is much, much better. First of all, the thing just looks a lot nicer. It’s fairly sleek, almost iPhone-like, compared to the G1, which looked like a dull black plastic brick with a protruding chin at the bottom. The Ion is smaller, it’s thinner, the camera is nicer, the buttons are nicer, hell, even that stupid trackball that HTC insists on including is nicer. Most importantly though, it’s much more usable as a device. And we can thank one thing for that, as well as for much of its much improved design: The removal of the physical keyboard. Now, before all your business and power users jump on me, let me say this: I understand how much you love your physical keyboards on your phones. I admit that most BlackBerry’s have quite nice keyboards. That said, the G1’s absolutely sucked and physical keyboards overall will become extinct over the course of the next several years. While the Ion’s vast improvement over the G1 may not solely prove that, it goes a lot way towards making the case that I’ve been making for a long time now: The physical keyboard is just a waste of valuable space. With the G1, not only did the keyboard make the device much thicker than it needed to be otherwise, the overall implementation was poor. The device’s chin made for an uneven typing experience, and the fact that the device had to be held in horizontal mode to use the keyboard was just silly beyond belief. And it actually caused some programs to fail when you would close the keyboard with device in typing mode and move it back to vertical mode. With the on-screen keyboard built into Android 1.5, you can now type while the device is vertical. And if you want to type horizontally, you just turn your device and you can do that too. This alone makes the device much better. The on-screen keyboard itself is better than they G1’s physical keyboard too. I find that I can type much faster with it, and not having to turn the device to the side, makes it easier to do things like type and walk. One major complaint against these virtual keyboards is that you can’t orient your hands without looking down as you’re typing, but improvements in technology such as haptic feedback will help this. Another is that the virtual keyboards often have lag between hitting a key and it showing up on screen — faster devices, like the Ion, will fix this. The physical keyboard is dead — it’s only a matter of time. All that said, the Ion’s on-screen keyboard is not as good as the iPhone’s. The Ion’s slightly smaller screen means the buttons are slightly more crammed together, which makes mistypes more common. But other Android devices with larger screens will undoubtedly help this. Beyond the keyboard and the overall design, the other single biggest improvement in the Ion is in battery life. The G1’s battery life was an absolute joke with applications running the background. The Ion’s battery life is quite good — we hear it’s as much as four times as powerful, though I haven’t tested that extensively — so good that I can have background applications such as IM, current weather and Twitter notifications running all day without the device dying on me. Running just two of those apps on the G1 would result in power drain in just a few hours. But the big question everyone wants to know is: Is the Ion better than the iPhone? No, it’s not. Even all that I said above doesn’t do justice for how much better the Ion is than that G1, but it’s simply still not on par with the iPhone. While obviously, a lot of that has to do with which software you favor, the iPhone’s OS versus Android, the iPhone hardware is still nicer as well. The screen is slightly bigger, the one-button layout (or 4 if you count the side and top buttons) is simpler, and the thing just feels more sturdy. That said, the Ion has a big advantage in its camera, which is much nicer than the current iPhone’s — but that should change with the new iPhone hardware due shortly. But I think that it’s fine that the Ion isn’t an “iPhone killer.” First of all, the mobile space is still evolving and growing rapidly, the idea that any one phone is going to kill any other phone is kind of silly — people have different tastes/desires and the market is big enough for a huge number of these types of devices. Second, the Ion is really a nice phone — it’s easily the second best phone I’ve used behind only the iPhone, and if you want to do something like run background applications, I’d definitely recommend it (at least until Apple gets into that game). And the Ion is a better device if you care deeply about using Gmail, Google Calendar and Gtalk, as those are all obviously Google products built right into Android. Third, the Ion is just one more of many Android devices due shortly. Google is on record as saying there will be 18 Android phones just this year, but we hear it may even be more than that, north of 25. Google’s goal isn’t creating an “iPhone killer,” it’s creating a vibrant mobile ecosystem that it can use to get more people using Google’s services. Plenty of people use Google on the iPhone, and you can be sure that the company is quite pleased with that. As a platform, Android needs better applications if it’s going to compete (compete, not kill) with the iPhone in the consumer space. But with so many devices coming, developers are sure to pick up their game as demand increases. A major setback in Android development since the launch of the G1 was that the G1 was a junky piece of hardware. Devices of a higher caliber, like the Ion, will help change everyone’s (both consumers’ and as a result, developers’) mind about moving to the Android platform. See how easy that was HTC? All you had to do was kill that awful physical keyboard. Nice work.